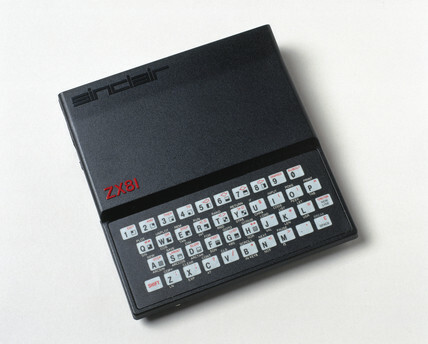 The ZX 81, first manufactured by Sinclair Research Ltd, Cambridge in 1981, was the succesor to the ZX 80 of a year earlier. The ZX 80 was the first computer made to appeal to the mas market and was designed to connect to a television set or tape recorder. The ZX81 contained the same microprocesor but had a better BASIC (Beginner's All Symbolic Instruction Code) programming language. It was also £30 cheaper than the ZX 80 at under £100, with fewer chips and a simpler design. By December 1981, over 250,000 had been sold, giving Sinclair the largest microcomputer user base in the world at that time. In 1982 The ZX 81 was marketed in the United States by the Timex Corporation under the new title of the Timex Sinclair 1000. Manchester Mark I Computer, 1948. Cooke and Wheatstone's first telecommunication device, 1837. Post Office Tower, London, c 1970s. Ferranti Mark I computer, c 1951. Hughes microphones and apparatus, c 1880s. Sinclair ZX Spectrum microcomputer, 1982. Two Intel 8080 microprocesor chips, 1970s.